PART 1 an OVERVIEW: an Introduction to Radiculopathic Pain. IMS: the Technique. 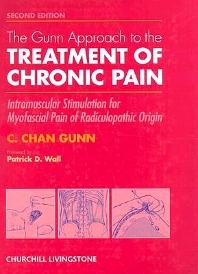 Treating Chronic Pain. References for Part 1. PART 2 INTRAMUSCULAR STIMULATION in PRACTICE: Summary. Guidelines for Diagnosis. Treatment and Needle Technique. General Examination. Regional Examination and Specific Treatment: Cervical Spine. Upper Limb/ Back. Lower Limb. PART 3 SUPPLEMENTARY INFORMATION: Musculoskeletal Pain of Spondylotic Origin. Table 1: Shortened Muscles in Common Syndromes. Table II: Segmental Innervation of Muscles. Sources of Supplies. Suggested Reading. Abbreviations for Commonly Treated Muscles. PART 4 APPENDICES: List of Appendices.